It’s difficult to grab attention in the vibrant bustle of NYC’s Times Square. Yet Aedifica has done just that in particularly clever ways. 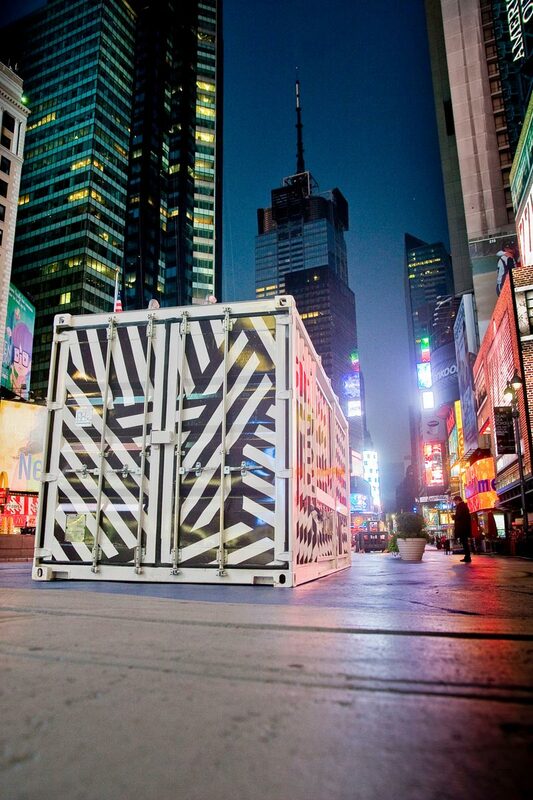 In creating a pop-up restaurant, they took a shipping container, 20 feet in length, and decked it out for show-stopping performances. 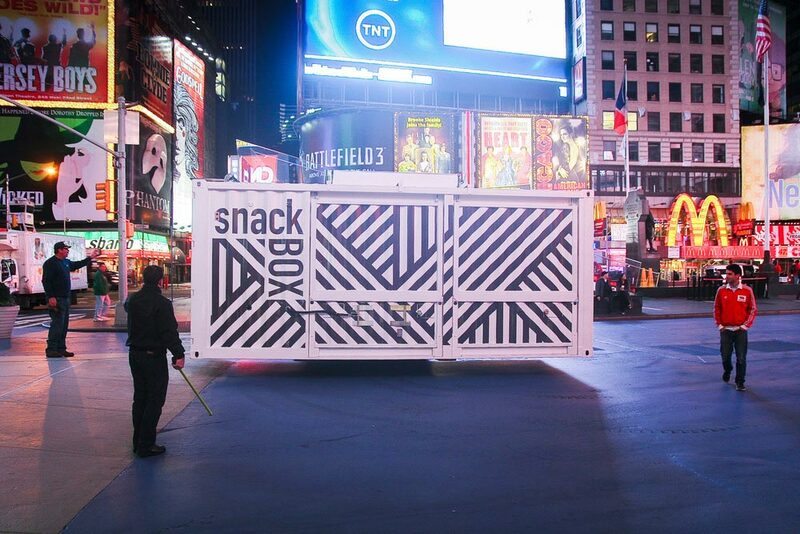 The Snack Box resides and moves around on a closed-to-traffic section of Broadway. Outfitted with fresh and grey water tanks, it’s not reliant on hooking up to city water supply or waste. 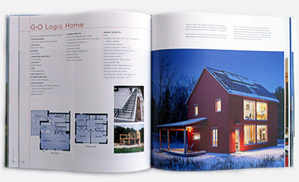 With a generator and electric batteries, the hybrid energy system makes it completely independent and self-sustaining. Heat is recovered from the generator to keep the interior warm in cold weather. The bold diagonal black and white striped exterior fits confidently in to its surroundings. 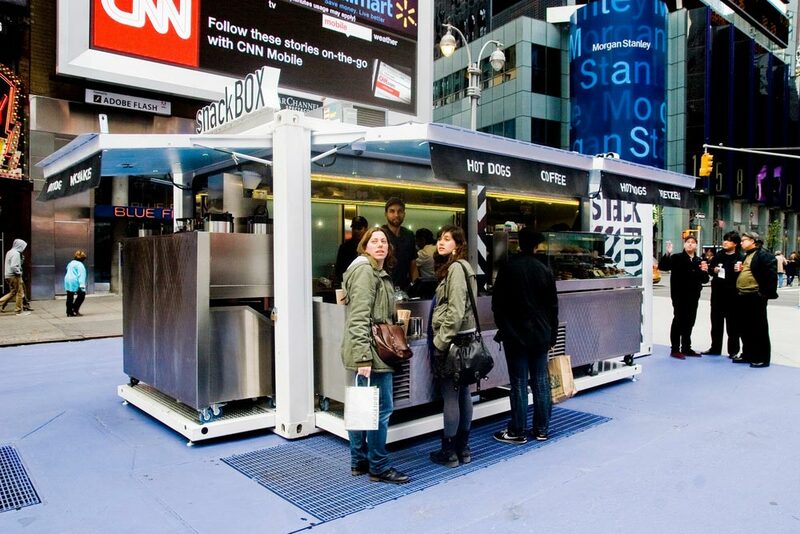 On three sides, these panels lift up revealing the restaurant, providing shade and protection from weather. Across the back width, two panels swing open for full access. When the shop closes, so do all of the panels for a secure night. Every interior inch is utilized from top to bottom and the features are remarkable. Slide-out sections on three sides create sales, display, and a condiment area. 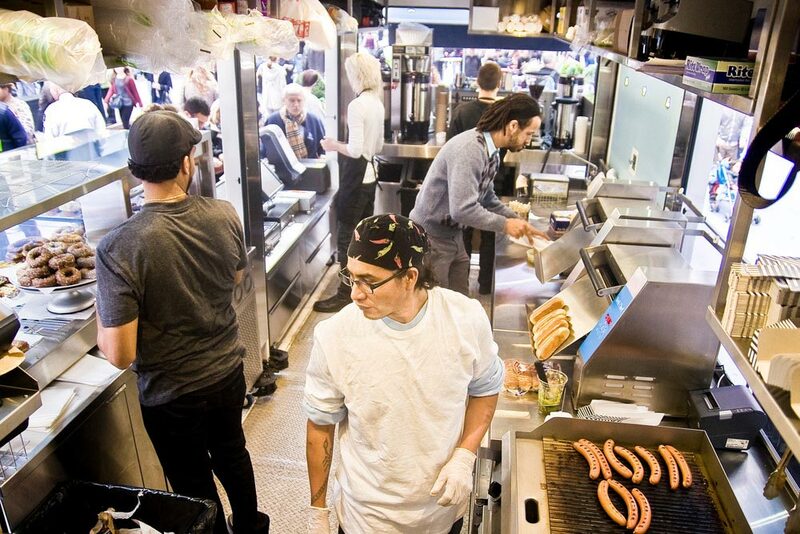 I’m certain the chefs appreciate the expanded width of the galley kitchen provided by these extensions. 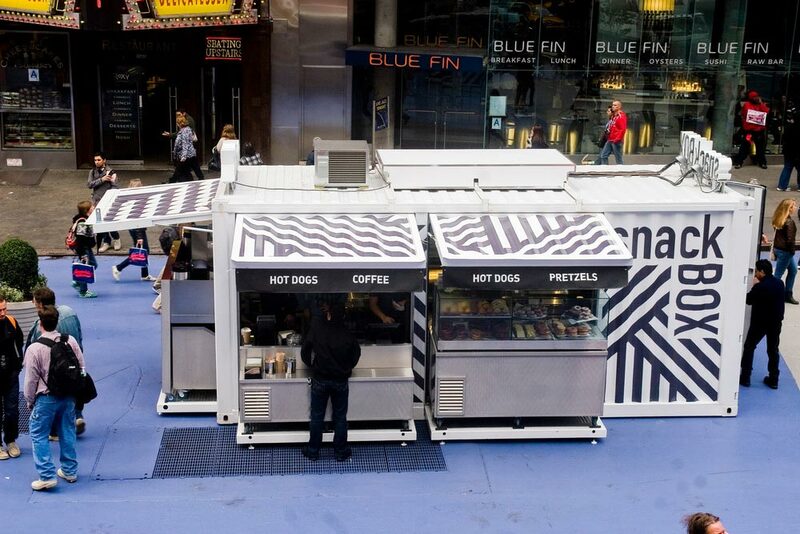 Stainless steel shelves wrap over the windows and the state-of-the art cooking equipment. Day light doubles through reflections off the stainless steel interior. 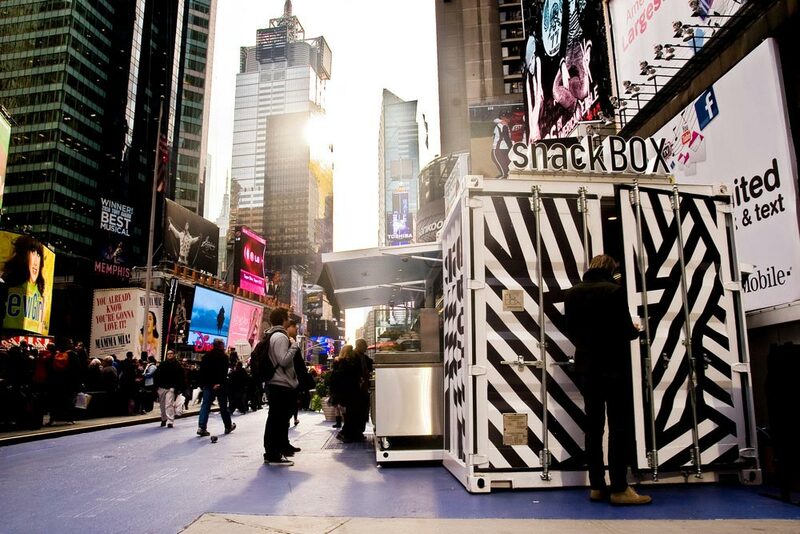 Snack Box is a perfect recipe for a contemporary street food vendor.